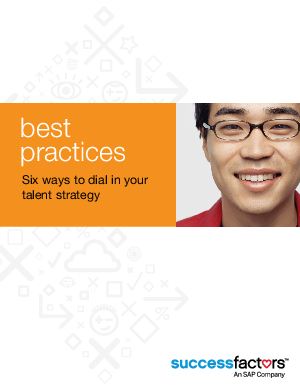 More than ever, talent managers find themselves at the center of HR strategy. And solving immediate talent needs is not only expectation. Talent managers must take a long-term view and anticipate tomorrow’s needs to attract, engage, retain, reward, and develop high-performing employees. Challenges for talent managers include integrating talent management programs while still impacting the business, all with cost constraints. Talent managers must search for pivotal roles, value competencies, identify talent pools, build a talent pipeline, speed up new hire onboarding, and become a catalyst for a high-performance culture.